Gross! From the front, it looked totally fine, but once you flipped it around, you’d see it had nasty little stains. Fine. Let’s just assume that it was only on the packaging. Once I tore the thing open, even the actual Tweezer had mold and/or rust on it! That’s just so gross! I trashed it right away. I’ve actually repurchased this particular pair on and off throughout the years and this has never happened to me before! I’m obviously never visiting this branch of Boots again. Ah, Kuwait. So this lil cutie was totally new to me (and was close to the entrance). 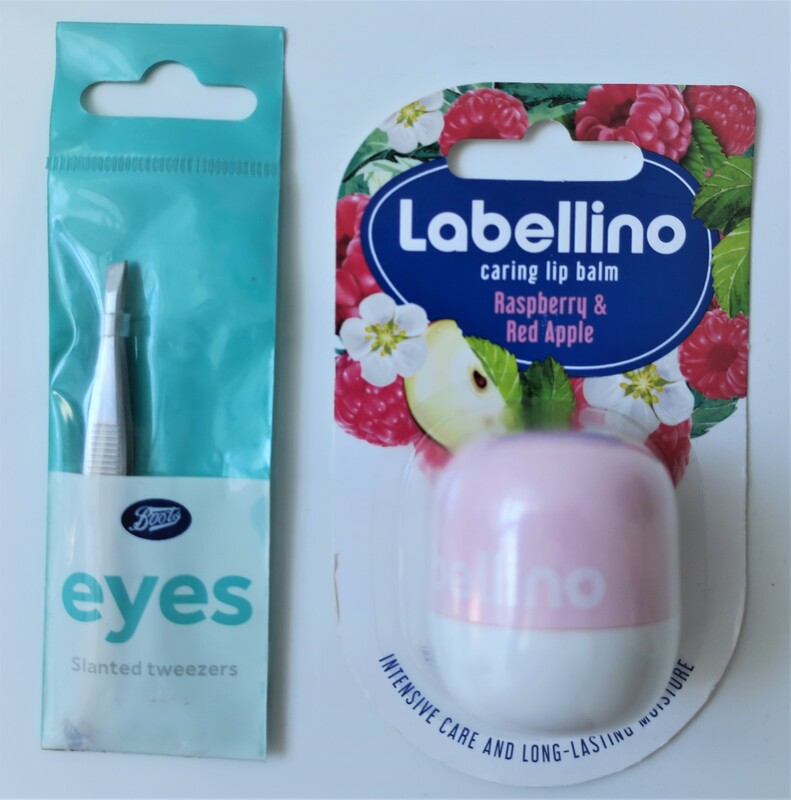 I’ve never heard of Labellino before but I’m gonna’ go out on a limb here and assume it’s part of Labello (which is basically what Nivea is named, in other countries, I did a whole post on it, here). Basically, this cutie is a dupe of the infamous EOS Lip Balms (which are pretty old-school at this point). It’s all domed and cute and apparently comes in several colors/scents! So far, I’ve only spotted Mint (Blue) and Raspberry & Red Apple (Pink) so obviously, I went with the latter. These seem to be slowly popping up all over the country though as I keep spotting them everywhere now. However, like I said, we only have the Pink and Blue in Kuwait, so far. The total for both items was KD 2/550 and I’m definitely not going back again, ever. So gross!